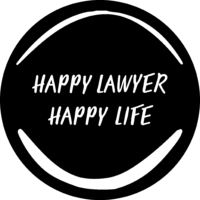 Happy Lawyer Happy Life- Happy Lawyer Tips For You! As lawyers, our work can sometimes leave us feeling anything but happy and our daily routine at times might not leave much space for happiness. So, as a big believer in the power of happiness, I have come up with a new thing! Weekly ‘Happy Lawyer’ Tips! Each week I will be sharing with you something hopefully useful in the happiness/lawyer/wellness box that you can action today to help you in starting your day on a happy note and bringing happiness into each and every day. Happy Lawyer Tip 1 - Find Some Colour! Thanks to my latest love of Confetti this week’s tip will have you painting those office walls I am sure! Happy Lawyer Tip 2 - Talk Don't Write! I am a little old school when it comes to law land and love to talk rather than email or send letters. We can all talk faster than we can type and lately I have found myself using some of the voice memo technology to send those memos rather than typing up that long email. Thanks to voice to text software and other audio technology it has become easier and easier to communicate still with a personal touch AND it is a whole lot quicker than email after email after email. So why not give it a go this week- talk where you can and see what happens! Happy Lawyer Tip 3 - Get Some Sleep! We lawyers are notorious for not getting enough sleep and it really is the key to so much. So my challenge to you for this week- focus on your sleep and you will be amazed the difference it will make to how you feel. Happy Lawyer Tip 4 - Pause & Reflect! How do you manage those tricky moments that tend to come with life in the law? Well I certainly don’t have all the answers here but this week I am sharing a few of the things that I know help me. Pausing, reflecting and letting things go- remembering tomorrow is a new day is often what keeps me going.